You know you need to exercise regularly, slow down and breathe more deeply, take time to sit quietly and rest your busy mind. 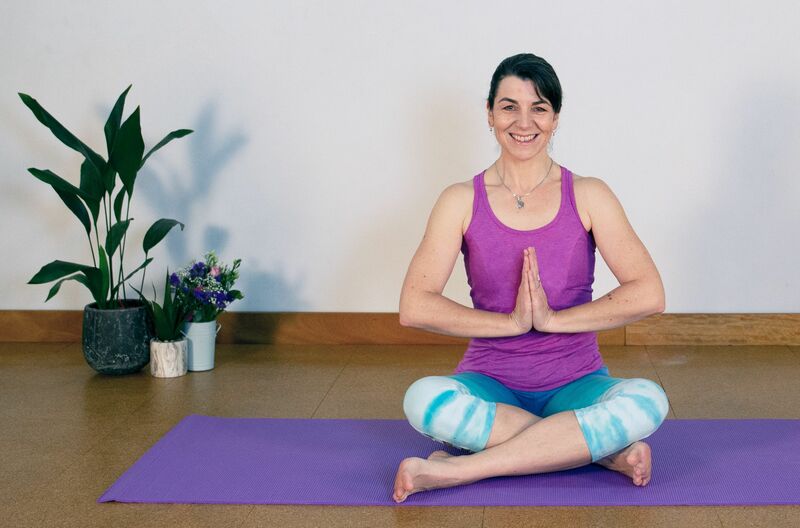 You know that yoga will help you find more balance in your life but so often your wellbeing gets pushed to the bottom of the list and you never seem to take time for yourself. I know that feeling too! And I also know that a good dose of friendly motivation, inspiration and clear guidance can make all the difference to staying on track on your journey towards a healthier life. Hello, I'm Deborah. I'll be your teacher here at Thrive Yoga. I'll guide you through the poses and sequences and help you find mobility and strength for your body, some quiet space in your mind and inspiration to connect with the natural world around you. If you'd like to know more about me, my love of yoga and how and why nature and plants are such an important part of my life then click here. Do you find it hard to get to a regular yoga class? Or to remember the poses and the sequences when you practise at home? Would you like to choose the type of yoga you do and for how long depending on how you're feeling? Do you feel uncomfortable going to a yoga class because everyone seems younger, fitter and more bendy? Is the pace of the class too fast or just doesn't flow well? If your answer is 'Yes' to any of these questions then Thrive Yoga can offer you the solution. Unlimited access to over a hundred and thirty online yoga classes. With a new class uploaded every week there's always fresh inspiration to get on your mat. Search for a class by Duration (from 5 minutes to over an hour), Style (Vinyasa Flow, Hatha, Yin, Restorative, breathing techniques and Meditation) or Focus (Strength, Flexibility, Dynamic, Gentle, Beginner and Relaxation). Thrive Yoga makes it easy to find a class that you feel most comfortable with. Why Practice With Thrive Yoga? Motivational posts about wellbeing on the Blog and in the Members' Facebook Group. Unlimited access to over 130 yoga videos updated weekly. Easily search for the perfect class. Save your favourites. Wellbeing blog and member-only Facebook group. Cancel at any time. Enter your email & I'll send the link to your inbox.